Microsoft’s Windows platform has been the single most widely-used desktop OS for decades, only recently sliding to second place behind Android as the most popular operating system used to browse the Internet. As popular as these two platforms are, unfortunately there are still intercommunication issues that can frustrate any user who owns a Windows computer and an Android phone (which is millions). These issues are especially prominent when dealing with ADB and Fastboot. Android enthusiasts, being no strangers to tinkering, have sought to remedy this in a variety of ways. 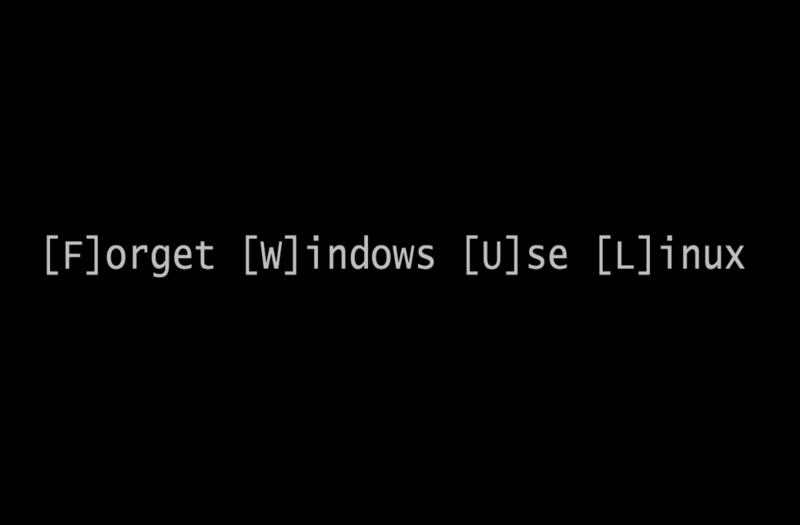 But sometimes, no matter how many times you boot into safe mode, reinstall your drivers, install new drivers, or mess with system settings, you just can’t get your Windows computer to recognize your Android phone. 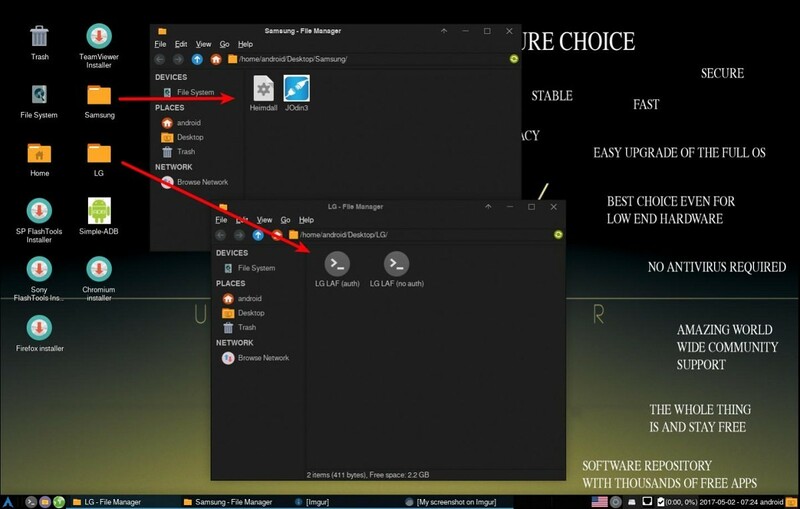 To that end, XDA senior member steadfasterX released “Forget Windows Use Linux” (FWUL) – a bootable GNU/Linux ISO geared specifically towards Windows users who need to communicate more reliably with Android. 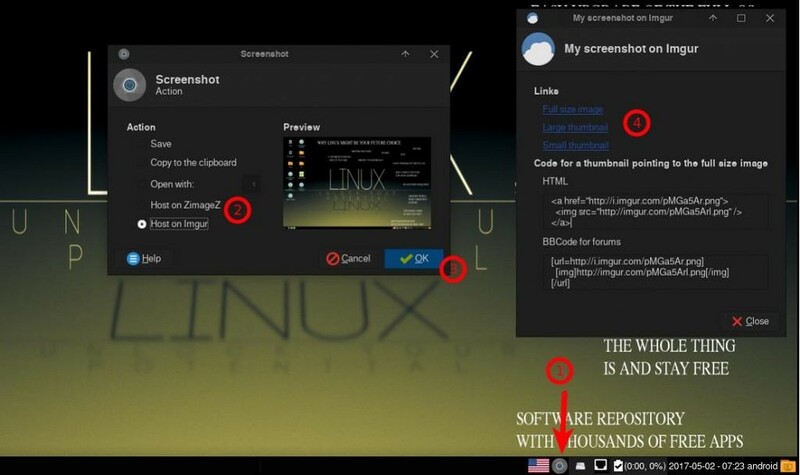 Based on the Arch Linux distribution, Forget Windows Use Linux is a USB-bootable GNU/Linux distribution meant to help transition Android-tinkering Windows users into a GNU/Linux environment. 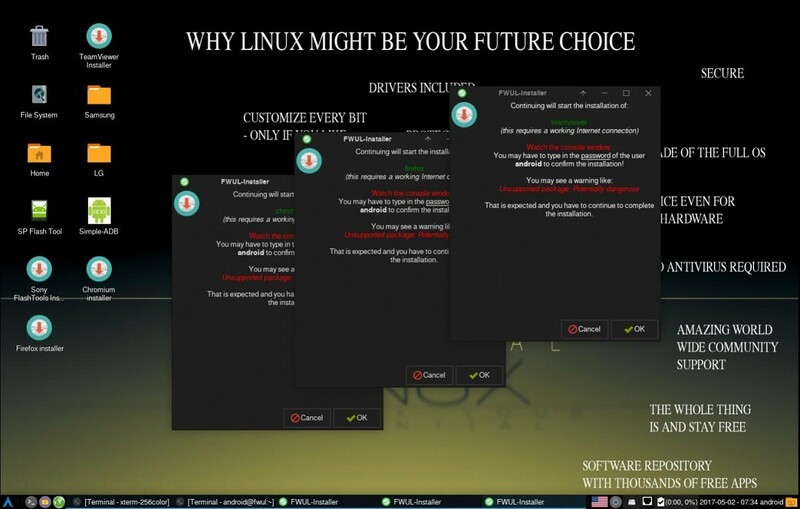 No longer will you have to suffer from driver issues on Windows or scramble to download the right tools on another USB-bootable GNU/Linux distro. With FWUL, everything you need is right there at your fingertips. Your Android phone will be recognized effortlessly by your computer in FWUL, and all of the possible tools you would ever need to interact with your smartphone – no matter which brand – are already pre-installed. 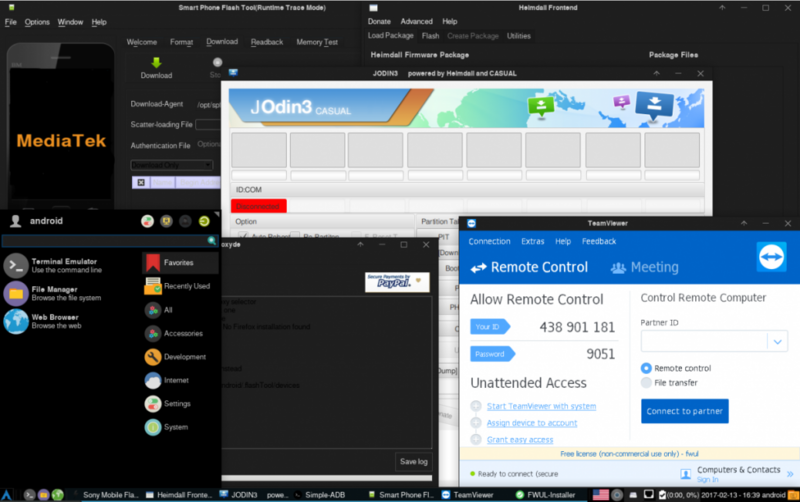 Baked right into the Windows 10 themed, GNU/Linux-based OS are specialized tools such as Simple ADB, a GUI-based program for ADB/Fasboot, courtesy of XDA senior member mhashem6; JOdin, a Java based version of Samsung’s Odin software – a collaborative effort from XDA Recognized Developers AdamOutler, Benjamin Dobell and Ralekdev, with XDA Senior Members Loglud and jrloper; Heimdall, an open-source tool for flashing ROM’s on Samsung Galaxy devices, developed by XDA Recognized Developer Benjamin Dobell; as well as tools for flashing LG, Sony, and MediaTek devices, among others listed in the original development thread. Suffice it to say, FWUL is loaded with powerful and useful tools. 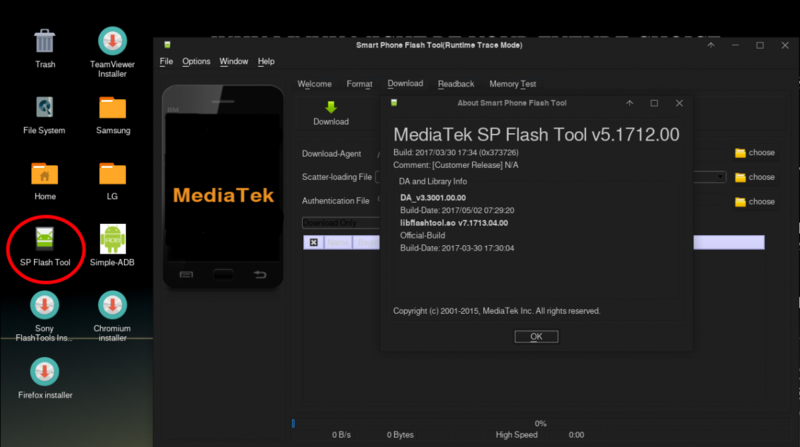 clean flash drive (meaning a flash drive you’re comfortable with wiping) – anything over 1GB is plenty – the ISO image, and a program such as ISO to USB for imaging the flash drive with the FWUL ISO. Once the image has been burned to the USB, simply plug it into your Windows device and select the USB drive as your boot device. Selecting this option varies by computer manufacturer, so Google search is your friend if you’re unfamiliar with one-time boot menus. 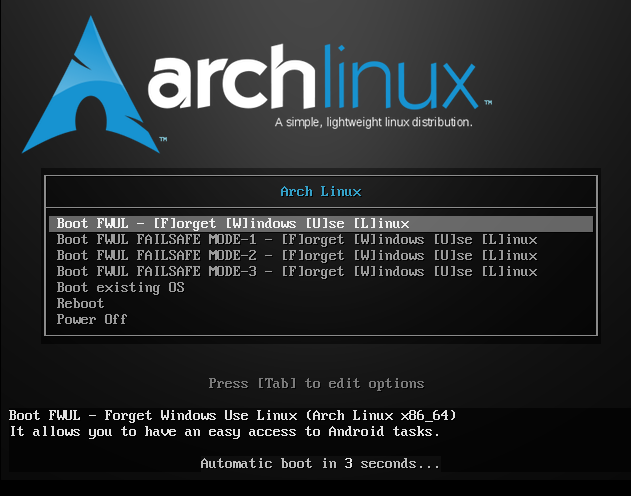 Once booted, select “Arch Linux archiso x86_64 UEFI USB.” Use the username “android” and password “linux” – no capital letters. Boom. You’re in. On the desktop will be all the aforementioned tools, ready and waiting to go. Note that some of these icons are installers, so you may choose what to install. Some bugs do exist but issues are typically addressed in a few weeks’ time and can be reported directly to the Github link. 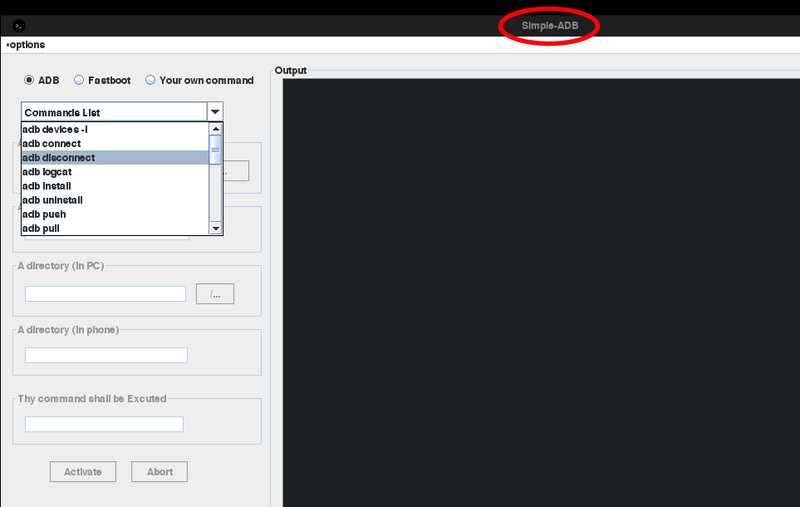 For instance, version 1.3’s web browser had some issues, but earlier today the developer updated FWUL to version 1.4 and with it brought a new web browser to the distro. While not meant to be an all-purpose OS replacement, FWUL, with its selection of powerful, pre-loaded Android tools, offers a lightweight and convenient compliment, or potentially even alternative, to Windows for your Android tweaking needs. Have you tried FWUL or a similar project? Let us know in the comments below! Keep an eye on FWUL and test the platform here!